The Aquarium is hosting a very special guest this summer. 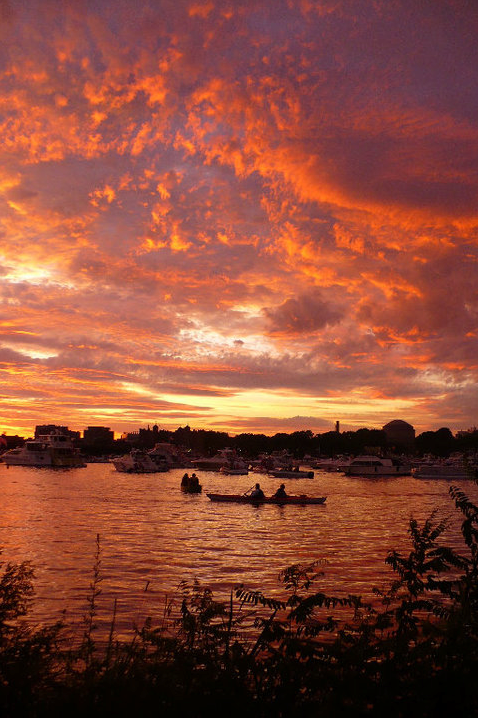 Aranteiti Tekiau, or Teiti (pronounced Tace), has traveled half-way around the world, from the tropical Republic of Kiribati in the Pacific Ocean to the bustling city of Boston, to study with researchers at the New England Aquarium and Boston University. At the heart of this exchange is the Phoenix Islands Protected Area, or PIPA. 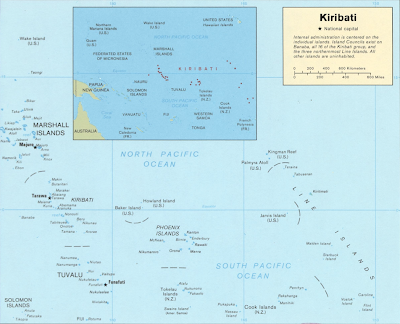 Kiribati consists of 33 atolls and islands, strewn across all four hemispheres, in a stretch of ocean equivalent in size to the continental U.S. The Phoenix Islands are one of the three island groups that make up Kiribati. The Aquarium has sent researchers on lengthy expeditions to survey the biodiversity and collect data about changes in the marine ecosystems in Kiribati since 2000. In 2008, the Aquarium was instrumental in creating PIPA with the Republic of Kiribati and Conservation International. By sharing these scientific skills, the hope is that Teiti can use the techniques he learns from researchers in Boston to monitor any changes in the marine ecosystems inside PIPA. Teiti works for Kiribati's Ministry of Fisheries. He was chosen to come to the United States for five weeks this summer to learn fish and coral survey techniques and data analysis methodology. As this was his first trip to the United States, he's also been learning about American culture and experiencing life in a city. Here's a look at some of the things he's been doing during his stay! Teiti saw a whale for the first time during a New England Aquarium Whale Watch. 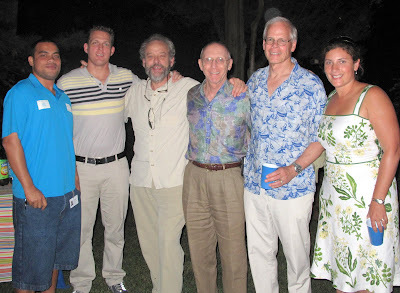 Bill Burgess (center), chairman of the Board of Trustees, and his family hosted a wonderful barbecue in Teiti's honor. Randi Rotjan (right), a researcher with the Aquarium, has been working closely with Teiti in the laboratory and in the field. Many people gathered to celebrate this historic exchange at the barbecue. Left to right: Teiti, Chris Stone (Global Conservation Fund, Conservation International), Greg Stone (New England Aquarium and Conservation International), Alan Dynner (Aquarium trustee and avid supporter of PIPA), Larry Madin (Woods Hole Oceanographic Institution), and Randi Rotjan (New England Aquarium). 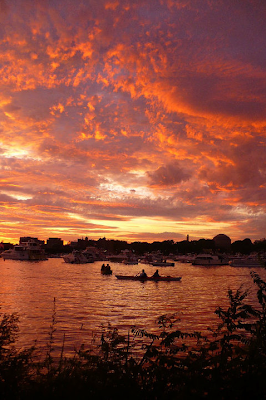 And Teiti even took in a fantastic sunset and fireworks along the Charles River on the 4th of July! Teiti's time is growing short, he'll be heading home at the end of the week. But stay tuned, he will be sharing some of his thoughts before he leaves so check back again soon for more on this exciting exchange!